This piece is 7,000 words or about sixteen printed pages long. Biographical notes for Elisabeth Frost and Cynthia Hogue appear at the end of the file. Born in the South, but growing up mainly in California, Barbara Guest attended the University of California (at both Los Angeles and Berkeley). Upon completing her degree at UC/ Berkeley, Guest moved to New York in the early 1940s. She soon met Frank O’Hara, and along with James Schuyler and John Ashbery, became known in the 1950s as a first-generation member of the innovative New York School of poetry, which took issue with took issue with Confessional and closed-form New Critical aesthetics then dominating the academy. Guest describes herself here as learning from the Surrealists how to make a poem move in ways other than by linear narrative: by introducing a more mobile, associative element into the poem, a sense of the “magical” (or unrealistic) originating force from which the poem derived, and a blurring of boundaries among the poetic, musical, and visual (even plastic) arts. Although the romanticized image of Woman (what Marianne Moore protested in Ezra Pound’s early Cantos a generation earlier as “feminolatry”) was foundational as well to the Surrealist project — as Rachel Blau Duplessis observes, its “marvelous” was decidedly gendered — it afforded Guest the all-important intellectual “liberation” of “breaking rules.”  Guest herself wryly (and perhaps equivocally) notes, in the conversation/ interview with poet Kathleen Fraser and this volume’s editors that follows, that in the inspiring artistic world in which she moved in her youth, she was redolently aware of being both “object” and peer to her male contemporaries. During the 1950s, along with John Ashbery and Frank O’Hara, Guest wrote reviews for Art News magazine and began to craft the distinct poetry for which she fast became known: abstractly visual (what Fraser calls a “painterly witness”  ), surrealistically nonlinear, and conceptually musical. Writing many poems about paintings, collaborating with such contemporary women artists as Grace Hartigan and Mary Abbott,  Guest explores in her work the poetic possibilities of syntactic openness, assemblage of lyrically intense fragments and perspectives, and improvisation. Guest’s many books include the novel Seeking Air (1978), the collection of essays on writing, Forces of the Imagination (2003), a recently reissued biography of H.D., Herself Defined: The Poet H.D. and Her World (1984), as well as twenty-six collections of poetry, among them Miniatures and Other Poems (2002), Selected Poems (1995), Defensive Rapture (1994), Fair Realism (1989), Quilts (1980), and The T ürler Losses (1979). Her honors include a National Endowment for the Arts Fellowship in Poetry, and the 1999 Robert Frost Medal for Distinguished Lifetime Achievement from the Poetry Society of America. She lives in Berkeley, California with her daughter Hadley. The following conversation/ interview took place on a brilliant fall day over four, intensive hours at Barbara Guest’s home in Berkeley, on October 16, 2003. See Rachel Blau DuPlessis, “The Gendered Marvelous: Barbara Guest, Surrealism and Feminist Reception,” in The Scenes of My Selves: New Work on New York School Poets, ed. Terrence Diggory and Stephen Paul Miller (Orono, ME: The National Poetry Foundation, 2001), 189-213, for a trenchant analysis of Guest’s gendered relationship to Surrealism. See Kathleen Fraser, “The Tradition of Marginality,” in Translating the Unspeakable: Poetry and the Innovative Necessity (Tuscaloosa, AL: U of AL P, 2000), 29; also quoted in DuPlessis, “The Gendered Marvelous,” 189. For a rich discussion of Guest’s relationship with these two women Abstract Expressionists and the contemporary visual arts scene more generally, see Sara Lundquist’s ground-breaking essay, “Another Poet among Painters: Barbara Guest with Grace Hartigan and Mary Abbott,” in Diggory and Miller (eds. ), 245–64. Kathleen Fraser grew up in Oklahoma, Colorado, and California. After moving to New York for a career in magazine writing, she began studying in evening workshops with Stanley Kunitz (1961) and Kenneth Koch (1963). She was soon publishing poems in The Nation, Poetry, The New Yorker, The Hudson Review, and many small-press journals associated with Black Mountain and New York school poets. In 1964, Fraser received the YMHA Poetry Center’s Discovery Award and the New School’s Frank O’Hara Poetry Prize, later followed by an NEA Young Writers Discovery Award, a National Endowment for the Arts Fellowship in poetry, and a Guggenheim Fellowship. In the fall of 1972, Fraser returned to California to direct the Poetry Center at San Francisco State University, where she founded the American Poetry Archives. Fraser has published seventeen books, including What I Want (1974), New Shoes (1978), Each Next (1980), Something (even human voices) in the foreground, a lake (1984), Notes preceding trust (1988), When new time folds up (1993), WING (1995), Il cuore: the heart, Selected Poems 1970–1995 (1997), and Disrcete categories forced into coupling (2004). Important critical essays by Fraser that articulate approaches to understanding avant-garde women poets— including ‘Line. On the Line. Lining Up. Lined with. Between the Lines. Bottom Line’; ‘One Hundred and One Chapters of Little Times: The Fiction of Barbara Guest’; and ‘The Tradition of Marginality’ — have been collected in Translating the Unspeakable: Poetry and the Innovative Necessity (2000). Recognized in the last two decades as a writer whose poetic, critical, and editorial work has been central to the project of feminist experimental poetry in North America, Fraser reinvents inherited language structures, sometimes playfully, always attentively, listening for ‘the mysteries of language to come forward and resonate more fully,’ as she observes in ‘The Tradition of Marginality.’ Her poetic project might be characterized as ‘writing over “the erased,”’ as she punningly puts it — both rewriting and writing over a partially erased text, as well as overwriting (as in an ‘overwritten’ text which, because of that quality of paying attention to its artifice, technically draws attention to itself). Engaged in a visual as well as feminist poetics, Fraser’s work offers ways to think through how formal strategies interact with lived experience, encouraging us to consider the engagement with form not just as a method of representation in poetry, but also as a mode of experience. How(ever)2 was resurrected in 1999 as an electronic journal (published out of Bucknell University currently) and archived at Rutgers University: http://www.scc.rutgers.edu/however/. Cynthia Hogue (CH): Elisabeth and I have looked forward with great excitement to this occasion, which brings together for a conversation two women poets with avant-garde East and West Coast associations, both of you with a deep interest in the visual arts, both of you beginning your distinguished writing careers in a New York that has certainly disappeared. How was it to begin developing as poets so wonderfully and richly in touch with the other arts? Barbara Guest (BG): New York then was a mixture of arts. And if you walked down the street you were liable to bump into other artists. Everything was new to me. New York was so new and so modern. I only knew one person when I arrived in New York. I immediately got pneumonia and she rushed to my hotel room and said, “You’re coming home with me.” We had never met. New York had an openness that only major cities have. And they all have it. But when I first arrived there it was the war, and many refugees were in New York. [Note 1] We were saved by these artists. We were taught so many things. All this wisdom that came over. I met many people then who had come here to escape Hitler. CH: This was the early to mid-forties? America is in the war and the refugees are arriving, the artists, gathering in New York? BG: Yes, and they were all out at midnight to get the newspaper. I had never known people who rushed to get a newspaper at midnight. And then they met each other on the corner of 8th street (Greenwich Village), and talked. There you saw all these famous men who had escaped. There was a different idea of time during the war, especially for the Europeans. They talked and talked into the night. And that was an indication of what they were going through. Kathleen Fraser (KF): That hunger for news and the need to discuss it connects with my sense of many parts of Europe still today — in cities and villages, particularly in France and Italy where I’ve spent more of my time. The café is so much a part of daily life, a source of primary information, where people are trying to figure out what’s going on politically and socially, even when it comes to things that may have an impact on their survival. It’s really different. What you’re describing is something that wasn’t really a part of American life until these immigrants arrived in New York, don’t you think? BG: It took a great city. Because they had come from great cities. CH: How were they wise? BG: Well, for one thing, they read the newspaper. I had never known anybody who read newspapers all day long. Or talked as much as they about events. It was all “foreign-speak” to me, in a way. You’d meet with one person and then another person wanted to meet you. In a sense, well, I was an object. I mean, they really wanted to see a young American woman. KF: In Europe, women would seldom have been out on the street so late or part of such discussions unless invited along with their companion as part of a very particular group. [Addressing Guest] Tom Hess’s magazine [Art News] was a rather unusual collaboration, wasn’t it, so many poets doing that much art writing and thinking about contemporary art? I was wondering how you began there, and how much of your time you spent doing that work, and if they gave you regular assignments? BG: Yes, they did. But, by then we’re in another year, another era. And the war is over. Tom wrote to me and others [John Ashbery and Frank O’Hara], and he hired us because he said he wanted some poets. Things aren’t done that way now so you can’t imagine it. I can’t either! But it instilled in me this tremendous affection for the arts. CH: Barbara, you said in your book Forces of Imagination that growing up under the shadow of the surrealists opened your eyes to a different way of writing, and a different way of seeing. As you put it, it gave you “an associative art within whose eyes you were able to gaze” at the writing of the poetry. You talk about surrealism as “unlocking the kingdom of poetry” in the 1950s. We wondered if you could talk a bit about what that was like, the poetry that you found you could unlock through this introduction? BG: It’s curious. I never believed that I’d be writing surrealism today, because it was a foreign subject. KF: [Addressing Guest] It’s your term “associative work” that really seems most to pertain or carry through, rather than what we tend to attribute to the pro forma European surrealist vision. The associative art strikes me powerfully in your work. Elisabeth Frost (EF): The other aspect of that which is so interesting, in light of what has happened in the years since, is this idea of unlocking something that was too locked up among the writers or the poets. KF: Forces demonstrates a similar immediacy, writing not shaped by an academic demand, but rather from your more immediate connection to the subjects you were thinking about. I experienced a similar frustration to yours in what I was not getting from my formal education in literature. I attended a very good liberal arts school in southern California [Occidental], but couldn’t find any courses in modernist or contemporary poetry. Actually, the subjects I was genuinely excited about were my painting and sculpture classes, and the sciences. I’d spend hours alone, or with one other person, working silently in the art studio with clay or paint. There were two records they piped in repeatedly over the loud-speaker system in the Arts building — “The Rite of Spring” and Vivaldi’s “Four Seasons.” We got sick of them, but they seemed to produce a kind of work-zone atmosphere. Eventually I began reading the prescribed books for an English Literature major and uneasily noting the attitudes one was supposed to adopt towards specific genres and texts, depending on the views and training of your professors. There were no living authors, no modernists or French Symbolists on our reading lists, but a few exciting poets began sneaking into my reading through my friends’ enthusiasms. My friends gave me T.S. Eliot’s Collected Works for my birthday my senior year, as well as [Garcia] Lorca’s Selected Poems, W.C. Williams Asphodel, That Greeny Flower and e.e. cummings’ Six Non-Lectures. BG: That’s a very cummings work. KF: It is. I remember how thrilled I was with that book. I’d already discovered poems of his hanging like little scrolls on the wall of a new friend’s room. His eccentric syntax and inventive page space and peculiar punctuation immediately intrigued me in a way that didn’t happen in my seminars. All of this unofficial writing was distracting me from what we were exposed to in the classroom. I believe my idea of moving to New York City began at that point; I knew I wanted to be where I imagined all the really modern artists and writers were living and working. EF: So how did you ever end up finding the New York School poets? KF: Well, soon after I moved to New York, I signed-up for a summer workshop with the poet Daisy Alden (thinking to study with a woman). But she became ill, so Kenneth Koch was called in to take her place. It was through that workshop that I met second-generation New York School poets Tony Towle, Alan Kaplan and James Brodey and, later, Joseph Ceravolo and Hannah Weiner. Hannah and I were the only visible “second-generation” women poets around the New York School scene at that time. This was a year or two before Anne Waldman, Bernadette Mayer and Maureen Owen appeared as a three-way force at the St. Marks Poetry Project, where we all hung out. Kenneth taught a night class at the New School, which I wanted to take after that summer workshop sample. He gave us provocative assignments that unlocked a lot of silly stuff in me. I loved discovering that poetic language could include humor. Kenneth’s teaching stance was something like that of an improvisational stand-up comedian, but he could be publicly nasty when he didn’t like a student’s work. I’d go home from his classes confused by his harsh mockery of some beginning poet’s attempted assignment that he found dull and predictable. But at the same time I was dying to begin experimenting with his outrageous ideas for opening up the poem. What he thought was most interesting was how you put language together. Good poetry for him always involved surprise. BG: He was a very good poet. KF: Well, he wasn’t my favorite poet, but he was a very generative teacher. I was completely intrigued and inspired by his teaching. CH: [Addressing both Guest and Fraser] Did it feel like there was the space for you as women poets in this very rich artistic scene in New York, to grow and explore and experiment? You had a kind of confidence, it sounds to me, that gave you the courage to begin to expand, to transfer some of the methods of the surrealist and abstract expressionist artists into the poetry. How did this start? BG: Well, everyone was so close. We were close to the artists, and they were close to the poets. I think that the closeness of the poets and the artists was very, very significant, because we were exchanging ideas all the time. We knew each other’s work. KF: I remember reading with friends from the New School classes, in one of the coffee houses where the poets hung out, and noticing that the painters whom we admired were actually coming to hear our work. To find myself in the company of New York School painters was great fun and completely inspiring, feeling this exchange of edgy, unpredictable work, and seeing that they took our words as seriously as we did their painting. CH: Did Kenneth introduce you to Barbara? KF: No, the person who set up my introduction to Barbara was Frank O’Hara’s roommate, Joe Le Sueur, a very kind person. One night, we were at a big party in someone’s loft, and Frank said to me, “You know who you have to meet? You have to meet Barbara Guest.” So he went off to look for her, but it turned out she wasn’t there that night. Joe decided that I should meet her anyway. CH: Why did he think you should meet Barbara? KF: Probably because she was the female poet figure in their group and maybe because of our common interest in painting. I’d met a number of the guys — first and second generation poets — and had gone to readings and gallery openings with them. I think Joe just felt that Barbara and I might enjoy talking with each other, but as much as I liked the idea I was too shy to make any contact. Something happened because about a month later, she wrote me a very friendly note and invited me to come for a visit — she was living uptown in a big apartment with her husband, Trumbull — and I remember being very thrilled that an older, established poet would take the time to talk with someone just starting out. I was worried that I wouldn’t appear sufficiently sophisticated, even though I was reading fiendishly and looking at paintings during all my lunch hours. But of course a conversation with Barbara cut right through all that. CH: What was striking about Barbara’s work when you first encountered it? KF: That in no way was it “obvious” or like anything I’d ever read. The poems continuously invited me into her very precise and shifting sense of the mystery of “the real” — very exact and abstract relations, without telling one what to think. No interpretation . There was always a word-lure suggesting something more — in the way that a small area of a painting may lead you into the larger work. I was always intrigued. Always. But I did not think “I want to write like this,” for Barbara was so clearly an original. It was more that her work put me in touch with the intriguing possibility of discovering my own peculiar diction, as well as attracting me to a far more interesting reading/ writing agenda than I’d been presented with up to that time. Something in her work pulled me forward, the way a particular music pulls you to it. There was also the intriguing work of my most admired peer and friend, Joe [Joseph] Ceravolo, who died way too young and whose poems deserve to be noted here even though his work has not yet been sufficiently studied. CH: Some of the other first-generation New York poets do seem so much more direct, but your work [addressing Barbara] has been so evocative from the first, and that indirectness that Kathleen was talking about is so mysterious. Did you feel that you knew what you were doing from the beginning or did it feel like a kind of exploring? BG: I was fortunate in that I was able to rent an apartment away from my home as a writing studio, where I could really go inside. A friend rented it for me, and I think that the separation was crucial, that I was able to get away to write. Because I never wrote at home. CH: A room of one’s own. KF: Oh, and full of paintings by your friends. It was so beautiful! BG: It looked out over the East River. It was nice, and I had it for quite a while. And I was able to write so much there. I wrote the H.D. book there [Guest’s recently re-issued biography of H.D., Herself Defined: The Poet H.D. and Her Work]. I was pretty worn-out by that book. I really was. I just broke down. The place that I was in had a little walk around it and I would walk out there on the terrace. KF: That terrace appears in Seeking Air [Guest’s novel], doesn’t it? BG: Yes, that particular place made me want to write prose. I do think you have to get away. I think it’s the real solution. The way a painter goes into the studio to work. KF: I agree. I wish that luxury — which is really a necessity — could be built into more of our lives. I had the experience for the first time, two summers ago, of being away from home, in a little cabin on a cove in Maine, living and working alone for a month, learning to take that time to read and write without needing to accomodate the habitual expectations of the daily. Last summer, I shared a house with my sister — only for a week — on the Oregon coast, where we could both assume our own independent schedules during the day but share evening meals and a walk on the beach. I got more work done in those seven days than in a period of months at home — particularly the kind of revision work that takes (for me) a fierce, unbroken concentration. I worked in a very ordinary room. It had a desk and a big wooden chair on which I had to stack pillows to make it tall enough for me to write at my laptop. But this inconvenience was nothing, given the heaven of not having to think about meals and telephone calls. To be there with only the goal of writing, reading and walking made all the difference. EF: Cynthia just mentioned Woolf’s famous phrase, and I wonder whether it remains particularly urgent for women — who are often surrounded by others’ domestic needs — to have the space. CH: And to dare to have that courage, isn’t it, to separate oneself. BG: Yes, because you cease being a good mother. Automatically. I was fortunate to have had somebody to be there, with the children in the apartment. But it certainly separates you from home. At first, I did try to write at home. I remember there was an extra room and I tried to write at home. But the work was just awful. CH: Because your concentration kept getting interrupted? BG: Yes. And also I didn’t want anything around me, and I still don’t. I didn’t want anything that brought congestion. EF: Do you have a space here now? BG: I have that room now. It’s small, but I’ve written a lot of books in it. I like it small. CH: You’ve brought up your H.D. biography, and mentioned that your first husband told you that you reminded him of H.D. What made you decide to write a biography on H.D.? What is your connection to her work? BG: I always loved her poetry. And I had to really hunt for it, because it wasn’t readily available. But I found it. I thought she was completely marvelous. EF: Was it important for your own work? BG: I read her thoroughly when I was a young poet. And I was impressed by the meter and the precision of her images — oh there were all sorts of things that I liked in her work. KF: Was she being presented as an imagiste? Represented by that particular group of her earlier poems, when you read her? That is to say, did your reading include works like Trilogy, or the later epics. BG: No, no. I read them all. She’s a good poet, and she gets better all the time. I went to see Bryher in Switzerland. I telephoned her, and went over. I went back three times, and all three times Bryher said, “Oh, I have a new stove I want to show to you.” So we had to go down in the cellar each time and look at the stove. This woman had millions. She had never cooked or kept house. Did you call her because you were thinking about writing the H.D. book? BG: No, she intrigued me in her own right. She was extremely intelligent. In spite of all that money, which confused her, she was very, very intelligent. And she saved H.D.’s life. CH: Did “The Türler Losses” come out of those trips to Switzerland? Because although one can’t see Bryher in that series, the kind of word play, the kind of unpacking of the idioms that you do in that poem, in such witty and such incredibly moving ways by the end, resonates with H.D.’s work. BG: Yes, that poem did come out of those trips. And I did drop the watch. EF: Did the poem develop over time? You lost two watches, made three trips to Switzerland. EF: I love when the Timex comes in. of traffic hurtling into air as the sun comes down. It moves out of the word play into this incredible intensity of emotion there. BG: I remember that was a very haunted house, where I wrote that poem [in Bridgehampton, Long Island]. There was something there. It was an old farm house. EF: You’ve spoken about how important that house was for you, as a writing space. CH: The layerings of time in this poem, of course, remind me of H.D.’s method of the palimpsest that you’ve written about, Kathleen. KF: Yes, but discovered in such a different way — Barbara’s references aren’t so intentionally “instructive” as H.D.’s. CH: [addressing Kathleen] It seems to me as though temporal “layerings” or time-shifts have been a chosen construction in your own work — I’m thinking of your enjambment of time frames. KF: I think that’s true, but I can’t necessarily claim it as a pre-existing intention — at least not in every case. In this particular context, I’m thinking of a poem I wrote — “Electric railway, 1922, two women” — inspired by the railway poster that illustrates the jacket of Barbara’s first edition of Herself Defined, that links or compresses the “embodied” experience of being female through five generations of women writers. In this poem two women are riding inside the safety and comfort of a first-class compartment on a train, looking out at the passing “film” of mountains curving around a lake, with a passenger boat coming into the harbor. My original interest — beginning the poem inside this frame — wasn’t pursued as a “method” but felt more like an impulse to connect with a deceptively simple scene and the feeling of impending violation that it invited me to recognize. The poster’s code of physical luxury and its scenic lure of the unknown led to a set of unplanned perceptions and memories (a palimpsest, if you will) recalled by the passing view, but finally linking five women writers traveling on this “same” journey — in physical and mental time layers — each preceding image unfolding to and commenting on the others — H.D., Bryher, Barbara, myself and Susan Gevirtz [poet and Fraser’s close friend] who was traveling alone in unfamiliar territory during the time I was working on that poem. I was feeling very aware of the ambiguous position of a woman who wants to travel independently yet who appears, by her very solitariness, to be a vulnerable target. A life is out the window and you are pulled through it. when you chose this method of seeing. BG: Yes, the poster was meant to represent H.D. and Bryher (but it wasn’t they in real life). KF: But in a way, that doesn’t matter since we keep erasing and adding-in slightly different permutations of human alarm and pleasure when we re-write our version of a story. EF: As in H.D.’s own use of the palimpsest — that juxtaposing of past texts and voices, the uncovering of them, sometimes mourning the absence of them. I’m thinking of what you [addressing Kathleen] do in “Etruscan Pages,” for example. KF: There are certainly ghosts and presences “layering” those sites. Being among them marked one of the few times I’d ever felt truly transported outside of “normal” time. EF: That’s such a wonderful visual image you’ve written of, the descent to the tombs! It’s so graphic, that sense of many levels of time being present as you climbed down to find the antique burial site...and the loss of the coherency of that language. KF: The loss of coherency and yet somehow, in the way we were talking about paintings or when I was speaking about the effect of Barbara’s poetry on me, I did feel a similar powerful connection to the Etruscan language and its alphabet. Of course I had no immediate access to its referrences, but there was something so palpable about the ancient letters themselves, and the way they were carved into the tombstones. The Etruscans used a kind of porous stone, and painted a red dye into the carved grooves of their names. It’s all very literal, these references. I saw a tombstone at the Villa Giulia (the Etruscan museum in Rome) on which was carved the name “Larthia”. She — I assumed it was a she — had scratched out the original name and put her own name in its place. EF: Talk about palimpsest! Barbara, is that image a central one for you, too, of the notion of palimpsest, from H.D.? Does it come up in your writing, that you are engaging with a layering of voices, of languages? That stanza seems to start moving from an exterior to a more perceptual, interior landscape, doesn’t it? And then the poem continues: “Between sea and lake a shape . . .” And then we’re back to the notion of form, of shape. EF: I’ve noticed the quickness of the changes that you orchestrate, line by line, almost phrase by phrase. The jumps. We wondered whether as you write you are following your mind’s own jump-cuts, or whether there is a more willed afterthought to that construction. I guess we’re asking you how you compose. BG: [Laughs] Yes, I guess you are asking me that. Each poem is composed completely differently. It’s what I call “shuffling mind.” I go a good deal by sound, and I mean I can write on sounds. I guess you can say I write by ear. That’s really what I do. CH: Is it a kind of aural intuition? CH: Yes, that’s right. With some poems — because I’m following the music. If I try to parse these lines I can come up with any number of speculative readings, but if I just read them following the music — “adoptive day,” “replenished by shadow,” “chooses,” “ chatter,” “swimsuits,” “smiles,” “sea,” “translucence” — then I start to see that aural patterning. BG: That is the way it should be written. The way you added up those words is the way it should have been written. BG: Yes. Funny, I’d like to do that. Porch. Balcony. Grill. Gates. Hedge. Stucco. EF: Barbara, a lot of your recent work has that kind of density that leaves out the unnecessary just in your sudden use of white space, without punctuation. The air around the words is breathing, in that passage from your novel, and also in your more recent work, like Miniatures, for example. BG: That’s, for me, very experimental. EF: It feels sort of ekphrastic, but at a tremendous slant, so that the poems are finally more abstract than visual. They’re never descriptive. But I like that effect in Rocks on a Platter as well, which is more descriptive, more discursive. BG: It turns out now at this late date to be more descriptive. Before, it wasn’t. EF: Just in comparison. But the white space is so important, it’s so beautiful, and there’s so much breath in it. I like the balance between the discursiveness and the minimalism in this book. BG: I think that was my favorite book until now. I left out so much in this last book, Miniatures. I went through it and deliberately left out, and I found that extremely satisfactory. I think I was beginning to despair, because I didn’t like what I was doing. And the leaving out has helped me. Now I believe it’s always more powerful when something’s left out. But it’s very hard for me to know when to stop. KF: I know what you mean. I had a similar experience last spring, while writing a poem for Norma [Cole]. She’d had a stroke just before I left for Rome, and we were unable to be in touch because she couldn’t speak or write emails at that time. I was trying to describe for her what it was like to be inside an Italian ritualized family situation — both its moving and its comic aspects, in this case taking place over the weekend of Pasqua and Pasquetta [Easter and the Monday just after it, “little Easter”]. I began the poem on Easter day and continued to work on it when I returned to Rome, but by the time I’d “finished” it, I was very unhappy because it didn’t resemble anything I’d hoped to capture — the confusion of contemporary Roman TV Easter with ancient religious rites; the physical alarm of having one’s speech or memory taken away with no warning; the war raging, not so far away ; and the loss of four friends unexpectedly dying in the space of a few months. One morning I decided to blow up the “finished product” and to force its materiality to come forward. I completely severed its intended meanings by enlarging the type and cutting into it. The composing process resembled a kind of action-collaging, except that I was using my own already written text instead of found material. I decided to make a series of discrete wall pieces composed from phrases discovered swiftly and without plan, inside the rejected whole. I suppose you might call it an intentional defragmentation. I determined to use all the words and all the letters from the original finished draft. I was sitting on the floor cutting away and soon I began composing, literally, on a white throw rug as if it were my big page or my canvas. When I found what interested me, I would paste those words and letters on to a piece of paper. Eventually I re-formatted these individual pieces into visual/ typescript pages for a chapbook, hi dde violeth i dde violet [published by Nomados. Vancouver, 2003]. But the process of revising was about that dissatisfaction Barbara was speaking of. I don’t mean to compare it exactly to hers, but rather to talk about the experience of dissatisfaction and cutting into, or out of, the arrangements that words find themselves in when their use has become habitual, even musically so, or in some way shaped by an assaultive and banal soundtrack crowding in on you — the sound of language-sets that repeat themselves in the daily press or come into your ear from television. I was trying to break these patterns apart because it was so deeply upsetting to have written an overly smooth, highly controlled narrative poem when it did not express the urgency nor the assaultive quality of life I’d been experiencing and wanted to give accurate visual form. CH: Barbara, you spoke about how Miniatures came to you, and the terms in which it came to you, that had to do with how you had conceived of it, imaginatively, and then how you executed it. BG: I think I’ve been very fortunate in that I’ve had a real easeful time in construction, and I don’t have it now. I just have a lot of difficulty. And I have to regain something that I’ve deposited somewhere else. KF: I remember when you were talking about how interested you were in Anna Marie Albiach’s work at a certain point. When one is suddenly struck or entered by another’s work, it can’t help but begin to make you want to find out what that’s about. BG: She uses vocabulary in a totally different way than she used to. It’s completely original. I want to go back and find out. She did something to the alphabet that nobody else had done. I really admire that. CH: You started in Miniatures with the medieval discourse. BG: Yes. It was medieval. And it turns around and is either very contemporary words or it goes back to the medieval. Which are the periods I chose. But I had a lot of trouble with it, and it wasn’t until “Coal” that I felt that I really was on easy ground, because that’s when I brought in my grandfather. And he helped me. CH: So it was a kind of discovery as you went along. BG: Yes, the night was very deep in “Coal,” and I was able to go way back, as if one were in a coal mine. And that was a great relaxation, because I was stuck. It’s not an easy thing to do. There’s one that I like very much, “Petticoat,” the poem with the word “Leviticus” in it. I love that word Leviticus. “She ran down the middle of the road” [starting to read, she stops, and asks Fraser to read for her]. She ran down the middle of the road throwing her hands up to Heaven. She believed whole buildings might fall on top of her. It was her duty to plunder the ant of air, beasties of calico. The Morse Code arrived in petticoat blue, the steam engine. She read Liebnitz before she visited the pastor. KF: This connects for me, way back, to the playfulness in your work. CH: Which takes one by surprise. It just erupts there. It’s something that one of your artist friends, Willem De Kooning, said to you, which you write about. He talks about keeping the work alive through that challenge to keep exploring. Life’s cinema aspect. Remarked on elsewhere. It begins to unroll from my windows overlooking the city streets. There a man enters a store. A car turns left onto a street. Cars wait for lights. A bus stops. A yellow cab cruises. A light changes. The pace of the cars is faster. Slower. Water tanks top buildings. Windows cleave to them. A door is an entrance. A person crosses at a diagonal. A bench is empty. Someone sits on a bench. A person moves quickly. A person stops. Except for a parked car there suddenly is an empty street. I ask if this is a French, Spanish, Algerian, English film. The subtitles will give me the answer. Seeing is directly linked to the cinematic here, and the perceptual shifts are like long shots and jump cuts. BG: Yes, it’s the sense of watching a scene the window frames. I grew up around Los Angeles. The movies were everywhere. But here the eye sees from another film tradition. It’s an American scene, but it’s not an American film. real when it wets the heart with satisfying equations. Both of you evoke motion pictures in your work — a medium quite different from the stillness of the canvas, which is also so important for you both. It had happened, had been happening. An incremental shaping, a turning movement. You could also say that something suddenly leapt forward in the dark theatre and that what had been the curb now became a screen with her foot projected onto it just as it was lifting and setting itself back down. The screen was carried inside her, it having already installed itself, forming its contours again and again, but the light falling on her foot, as it appeared to lift of its own volition — as a separate animal, even — made it seem as if the projector were also hers, illuminating the moment which had been gathering in her, yet not hers, until now. Its genesis was a photograph I’d looked at for three years, propped up in front of me on my desk in Rome. It was a slightly blurred image of people walking and there was a man’s foot moving into the frame from the left edge, then a woman in motion, and then a foot raised in the air, left behind by someone else rushing out the right side of the photograph. Eventually, this photograph on my desk — this moving picture — started entering into the writing. The foot keeps arriving in different ways throughout this piece. Thinking back to the sixties in New York, I realize how very important film was to me, in teaching me the break-down of movement. I began to see how differently one’s vision might be constructed — the tempo of it, the speed of image arrival. Stan Brackhage was showing a lot of speeded-up footage then, in one of the small art-film theatres downtown, and uptown John Cassevetes’ films were slowing everything down to “real time,” pulling meanings beyond their economic compressions It made a new kind of sense if you were thinking of what was going on in jazz and “new music” — all those jump-cuts delivering meanings outside of the linear narrative which, normally, had provided one’s main frame-of-reference. It was an enormous relief to shed — or at least to extend and improvise on that received familiarity authorized by the mainstream models: how things ought to be if you were going to write a “good” poem. Sound was involved in the jump-cut, but there was also the odd gap and exposure of filmic splicing (space). That incredible freedom is what Barbara — and other New York School poets gave me access to through their work. Freedom and pleasure. Pleasure is a great part of it. CH: And, as you mentioned earlier, playfulness. EF: It also sounds like an aspect of relinquishing control. KF: Exactly! The control of others’ limits. You finally do bring your own shaping to what you do. In the revision process itself, there is an artistic control that is demanding and particular, but the poem is leading you to it. BG: To that place where the poem lies waiting for you. Yes, there were of course many artists who came to NY because of the war. . . . DeKooning came in the 30’s, Cavallon, Gorky, Duchamp. Mondrian. Albers. Quite a few architects especially from the Bauhaus. . . . The composer Stefan Wolpe . . . and the Surrealists André Breton and André Masson. . . . And of course there were other immigrant artists who had arrived before the war, to escape poverty, and/or anti-semitism in Europe. . . . [T]he feeling and excitement of the cultural capital of the (western) world shifting to NYC just before and after the war . . . was very very palpable. Guest eventually transferred to University of California at Berkeley, where she completed her B.A. before moving to New York. See “‘One Hundred and Three Chapters of Little Times’: collapsed and transfigured moments in the cubist fiction of Barbara Guest,” in Translating the Unspeakable, 161–73. The time to which Fraser refers is the U.S.-led invasion of Iraq in the spring of 2003. 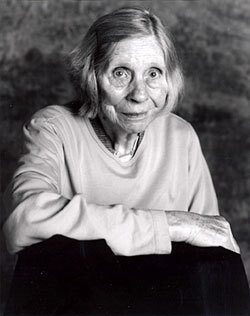 Elisabeth Frost is the author of The Feminist Avant-Garde in American Poetry (Iowa, 2003). Her essays and interviews have been published in Contemporary Literature, How2, and Postmodern Culture, among other journals, and her poems have appeared widely in U.S. periodicals. She has received grants from the Rockefeller Foundation-Bellagio Center, the MacDowell Colony, and the University of Connecticut Humanities Institute, among others. She is an associate professor of English at Fordham University. Cynthia Hogue’s collections of poetry include Flux (2002) and The Incognito Body (forthcoming), two chapbooks, and two critical studies, most recently the co-edited We Who Love To Be Astonished: Experimental Women’s Writing and Performance Poetics, reviewed in Jacket 22 by Linda Russo. She has been awarded NEA, NEH, and Fulbright Fellowships, among others, for her work. 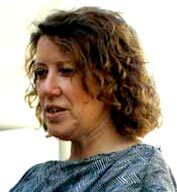 She lives in Arizona (USA), where she is the Maxine and Jonathan Marshall Chair in Modern and Contemporary Poetry at Arizona State University.